This One-On-1 Exclusive Interview features Australia Native, Harrison James. Harrison is a thirteen-year-old who discovered his love for music as a young child, and at the age of 10 he decided to take singing lessons to perfect his craft. Harrison is quickly making his way to fame by posting a series of song covers on YouTube, which has gained him a rapidly growing fanbase. 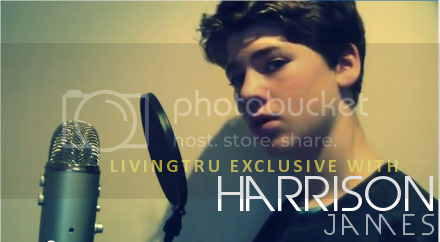 His covers include songs from some of the most popular artists in today’s music, artists such as, John Legend, Jason Mraz and Ed Sheeran, all of which Harrison lists as some of his biggest musical influences. His ultimate goal is to make it into the music industry as an established artist, and create music that makes a positive difference and that will ultimately change the music industry as a whole. With his big dreams, and high ambition we’re sure it will happen! Check out this One-On-1 Exclusive Interview with Harrison James! One-On-1 Exclusive Interview with Harrison James! Click the image to watch this cover! Check out this cover of Justin Bieber's "As Long As You Love Me" by Harrison James Ft. Logan Morris! 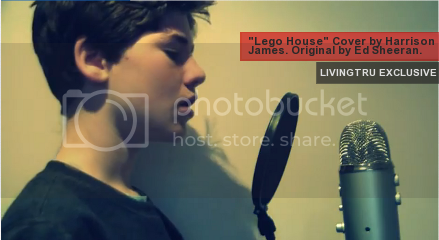 Listen to this cover of John Legend's "Save Room" by Harrison James! Connect with Harrison on his Social Networks! All photos and videos courtesy of Harrison James. Photo Design, Review and One-On-1 Exclusive by Arionna Jai. Austin Mahone // Very First Interview! Troye Sivan // New EP "TRXYE"